Monte Vista - PAWS-itively Awesome! Welcome to Monte Vista, a vibrant school community with dedicated teachers, staff and parents. 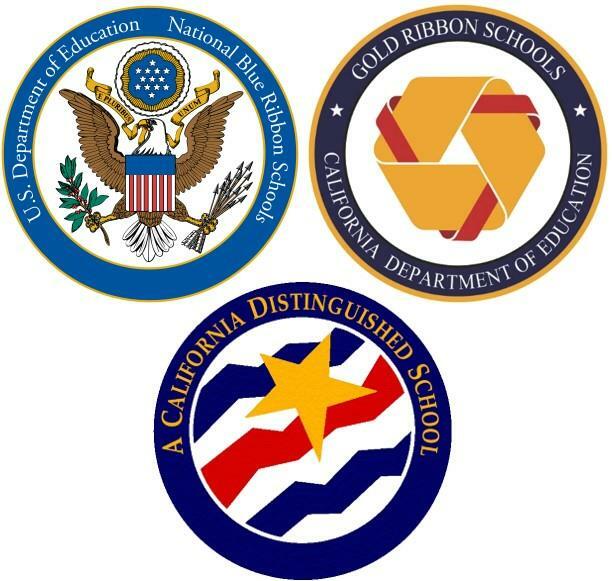 We are a National Blue Ribbon, California Gold Ribbon and, just this past year, a California Distinguished School. In addition to academic success, we pride ourselves on being a community school with a variety of programs to meet the needs of all our students. The arts are a strong area of focus and is supported by both GUSD and our site PTA. Meet the Masters, Primary Chorus, Upper Grade Orchestra, 3rd Grade Recorders, Musical Theatre and a robust ceramics program are just a few examples of how visual and performing arts are integrated into the school program. Monte Vista is home to a Korean FLAG program (Foreign Language Academies of Glendale) in grades K-6. Technology continues to be a strong area of focus with ten Chromebook Carts, Robotics Program, an up-to-date lab and SmartBoards in every classroom. Our PE program provides specialized instruction in physical education, team building for all students from kindergarten through 6th grade. Finally, academics are supported through the Common Core State Standards, newly updated library, supplemental instructional materials and opportunities for enrichment. We hold high expectations for our students in academics, citizenship and creativity. Monte Vista is an incredible community that prepares our students for their next steps at Rosemont Middle School, Crescenta Valley High School and beyond. For Paw Prints Newsletter please click here.